Published: May 10th 2016 by Cedar Fort, Inc.
FTC, FYI: I received a review e-copy in exchange for an honest review. I was instantly drawn to this book by looking at the cover. It's amazing how a gorgeous cover can be a selling point for an author's book. The dress the cover model wears is beautiful and there is a sense of mystery displayed there too. This book is a historical fiction book that was written by someone that knows their history. It is always so obvious when an author has done the hard work to get details right. I have been intrigued for a long time by this time period, the English Reformation and the reign of Queen Elizabeth the 1st. The feeling of great religious unrest is the basis for this story as Joan is Catholic, and her father died revolting against the Queen and now Joan is an orphan living with her godparents. She also meets up again with the man who she thought some day she'd marry, but she hasn't seen Nicholas for many years. He's changed in many ways and Joan isn't sure how she feels about him at first. This story has a slow start, but as things progress, you get to learn more about Joan and the kind of person she is. The reader soon sees that Joan is truly at heart very kind and caring and wanting to help the oppressed. She is courageous and fights for her beliefs, even with her own life at stake. 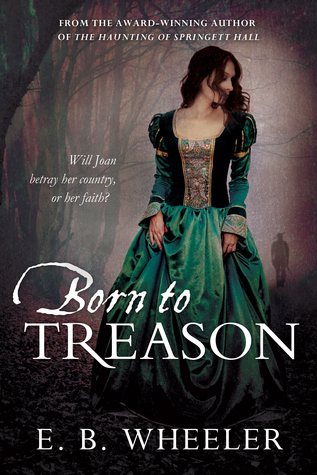 Though there is some romance in the story, this book's strong points revolve around the adventure and mystery as she becomes wrapped up in the intrigue of secretly fighting for her people,The Welsh, and her beloved Catholic church. I felt on edge a lot while reading this story hoping that Joan and the others would succeed in their quest for freedom. There is some violence as the Queen's men had a job to "take care" of the Papist Traitors who were revolting against the Queen. There are some twists and turns in the story, especially having to do with the romance that fully blossoms near the end of the book. I can assure you that it will make you smile. This book will make readers of historical fiction and historical romance feel very fulfilled when finished. This clean read can be enjoyed by older teens and adults. Meet the Author: E.B. Wheeler grew up in Georgia and California. She earned her BA in history from BYU and has graduate degrees in history and landscape architecture from Utah State University. With Welsh ancestors on one side of her family and crypto-Catholics on the other, she’s been fascinated by the story of Welsh Catholics since writing about them in her master’s thesis. 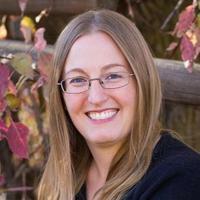 She’s the award-winning author of “The Haunting of Springett Hall” and lives in northern Utah with her family.